Future Tech Roofing - Roofer based in Rochford, Essex. Future Tech Roofing accommodate for all your flat roofing needs. With over 30 years experience in construction and service sectors we aim to oversee your project from start to finish. - Flat roofing in both fibreglass and rubber membrane. - All aspects of roofing. - 24 Hour call out. - Both commercial and residential. - Free no obligation quote. 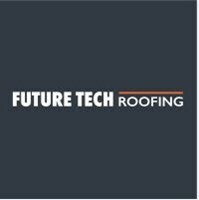 Future Tech Roofing strive to offer quality, reliability and great service.